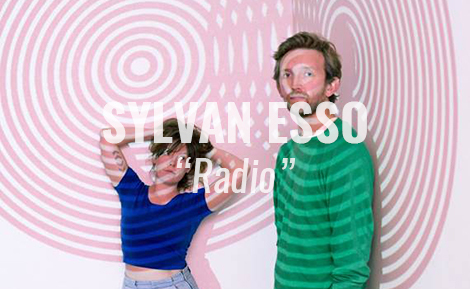 Acclaimed duo Sylvan Esso – comprised of Amelia Meath and Nick Sanborn – have released their first new music since their celebrated self-titled debut came out in 2014. The new single, “Radio,” is bold and boundary-pushing, turning the band’s signature sounds in brilliant new directions. The 12” pairs “Radio” with “Kick Jump Twist,” a fan favourite featured prominently in the band’s live set. The vinyl is released by Lomo Vista/ Concord/ Caroline International on November 18th and is currently available for pre-order from the band’s website.